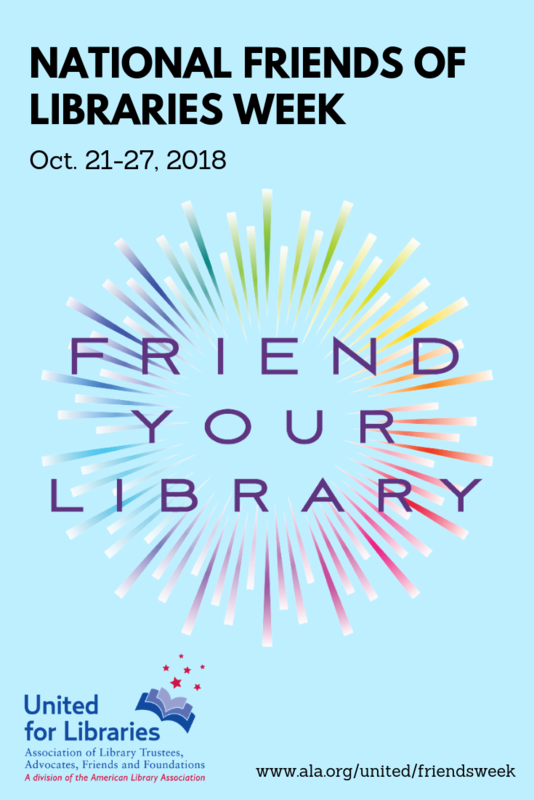 Did your Friends of the Library observe National Friends of Libraries Week on October 21-27? If you did, United for Libraries (the Friends arm of the American Library Association) wants to hear from you. Every year since 2007, UFL has honored at least two participating Friends organizations with an (aptly named) Friend of Libraries Week Award. This special acknowledgment comes with a $250 cash prize and significant national press. United for Libraries conceptualized National Friends of Libraries Week as a two-fold opportunity: for Friends to raise community awareness about their contributions to the local library (and solicit memberships), and for library staff and trustees to celebrate their Friends. That’s a broad framework, and deliberately so. Creativity in execution is strongly encouraged! In years past, Friends have marked National Friends of Libraries Week with everything from a pet photo contest in Rutherford, N.J., to a first-of-its-kind Native American storyteller program in Glendale, Ariz., to a pumpkin decorating competition in Escanaba. Even if your commemoration was on the more conventional side, be sure to apply for this year’s award. Do so by Tuesday, December 4. Click here for instructions. Miss the "holiday" this fall? Not to worry - National Friends of Libraries Week 2019 is already slated for October 20-26, 2019. Mark your calendars!